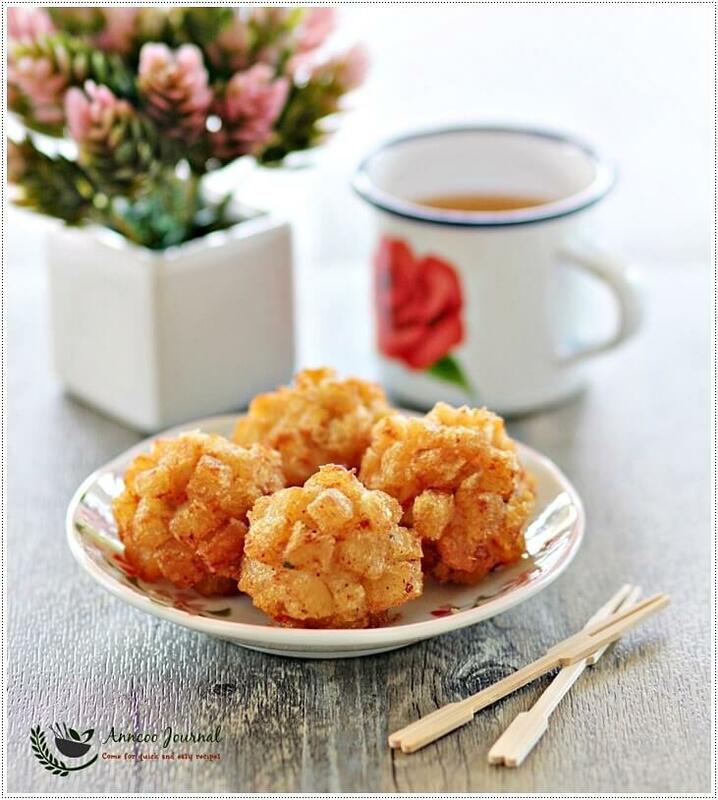 These delicious yummy Deep Fried Seafood or Prawn Balls are great to serve as dim sum snacks, finger food for parties or anytime of the day. 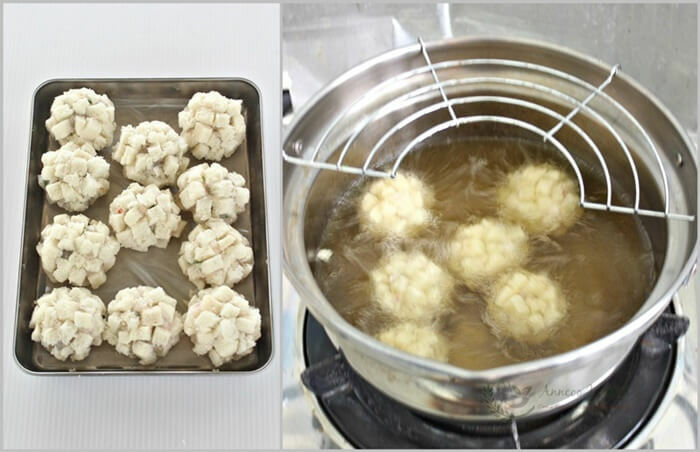 They can be prepared few days ahead and kept in the freezer. Just deep fried them direct from the freezer (do not defrost) and serve with chilli sauce or mayonnaise. Bash up prawns with a knife and roughly chop. Add ⅛ tsp and dash of pepper and mix well. Then add in all the remaining ingredients except bread. Mix well and place it in the fridge for about 15-20 minutes. Dip the spoon into water and scoop about a tablespoon of the seafood mixture onto your wet hand. 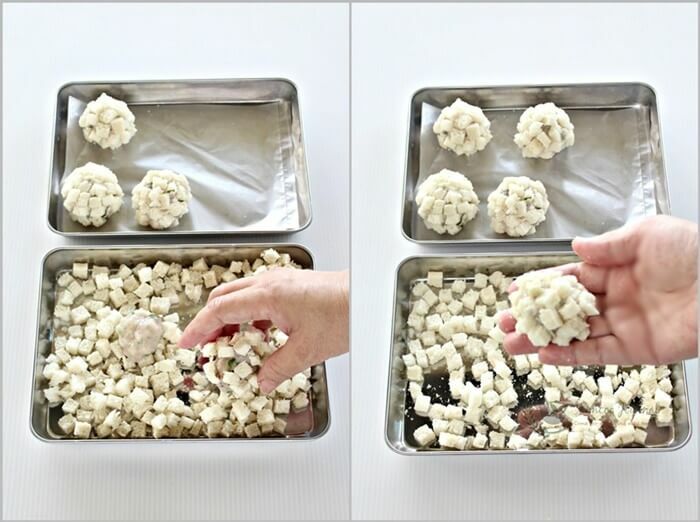 Roll it gently into round ball and coat with the bread cubes. Hi Ann, I was wondering if you'd be interested to bake for sale. I'd love to purchase some of your creations. Any way to contact you personally? Hi Ann, I ate this in Dim Sum restaurant! I like it very much. Yours look as yummy as those in the restaurant. Very well done! 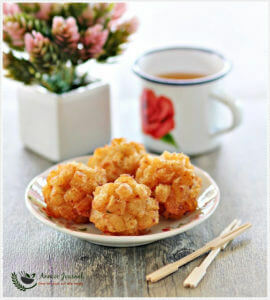 Ann, I would love to eat this straight from the frying pan and dip with my favorite chilli sauce! 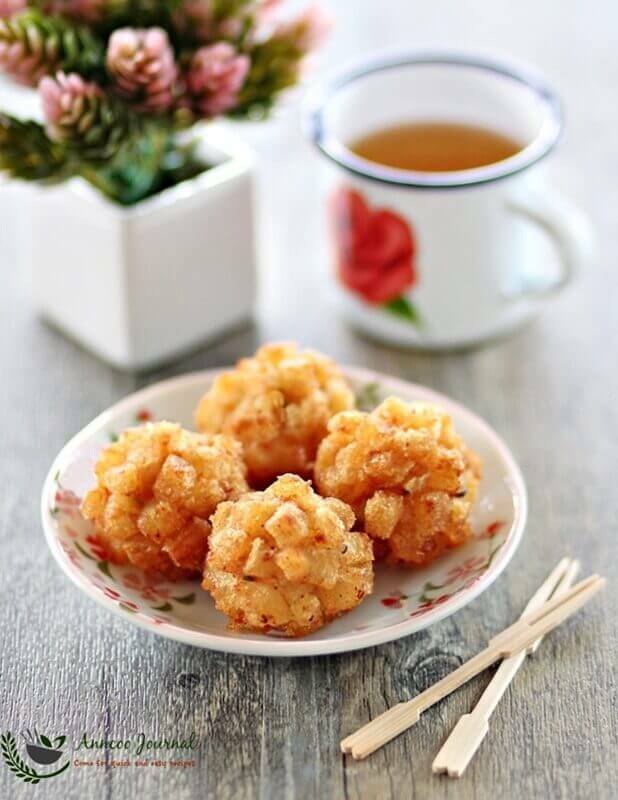 I love crispy seafood balls! 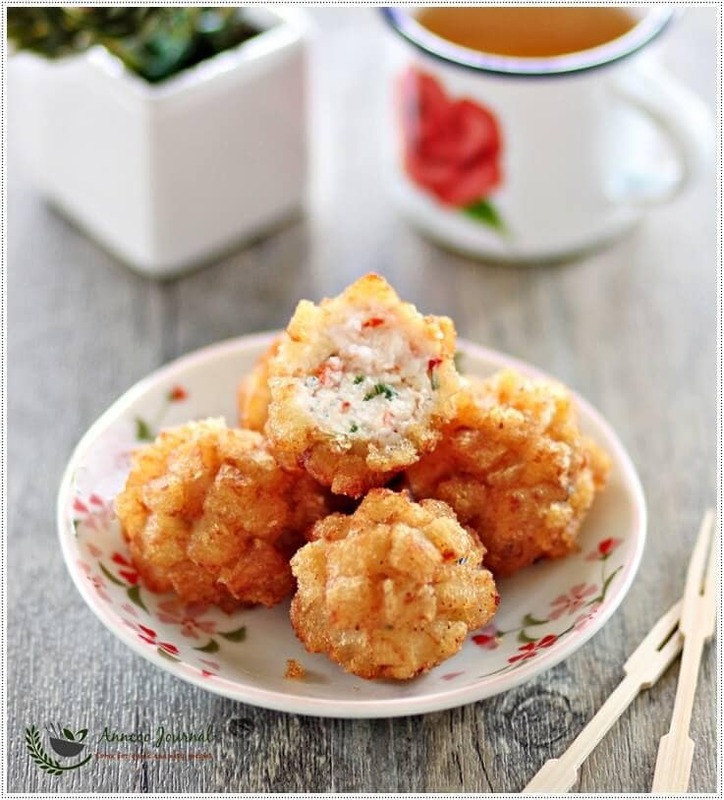 I am sure they will go very well with sweet and chili dipping sauce! Hi Ann, I can only say these are yummy, yummy. How I wish I can grab one right away. They look super crunchy and divine!